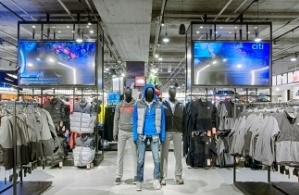 We have extensive experience designing A/V systems for retail space. From more intimate boutique space to mutli-story department stores, we offer expert design, installation, and maintenance for a plethora of retail specific products. Want To Spice Up The Shopping Experience For Your Customers? You’ve done everything; you’ve changed the window displays, you’ve altered the layout of the store or maybe you’ve even renovated the interior to make it more attractive to shoppers. You’re at your wits’ end and you’re wondering what else you can do to improve the retail experience for your customers. The answer: music for business, tv for business or DIRECTV for business. As a retailer, you know that the quality of entertainment in a store can have a huge impact on the overall shopping experience. In today’s competitive marketplace, you want to stand out from your competition. Choose AVE as your audio and video solutions provider! For over 25 years, we have been in the audio and video solutions market in Seattle. At AVE, we provide services for all types of retail businesses. Here at AVE, we have extensive experience designing audio and video systems for retail space. Whether it’s a more intimate boutique space or a multi-storey department store, we are able to offer expert design, installation, and maintenance for a plethora of retail specific products. We know that having the right mix of music and/or tv can positively influence the mood of your staff and improve the engagement of your customers. Let our experts put together an audio and video strategy that works for you!